Love this LITTLE MARC JACOBS Girls Khaki Green Parka Coat White Rainbow Sequin Logo T-Shirt for Spring Summer 2018. New York fashion designer Marc Jacobs has designed this olive green parka-style coat for girls, with colorful embroidered badges and a large 3D rainbow logo print on the back. 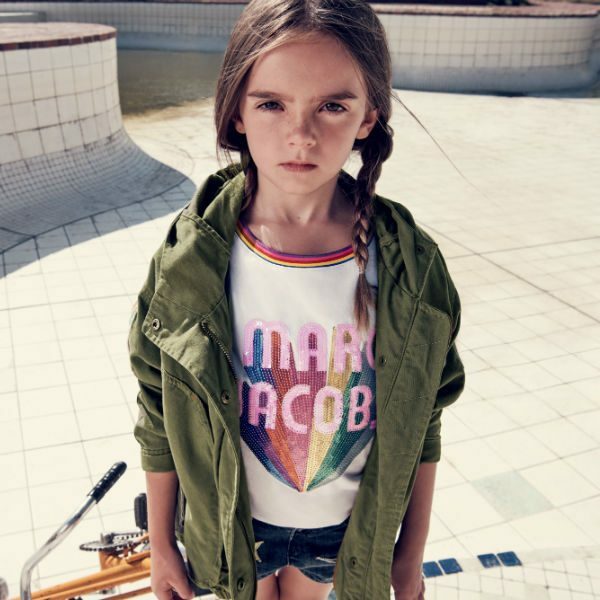 Looks adorable with this LITTLE MARC JACOBS Girls White Rainbow Sequin Logo T-Shirt and Jean Shorts. 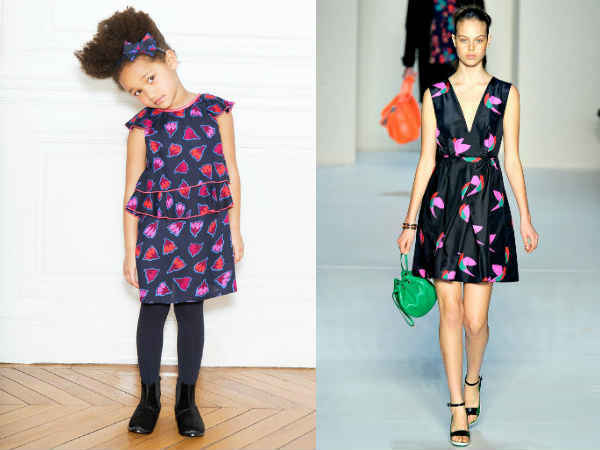 The perfect streetwear look for girls, inspired by the Marc Jacobs Women’s Collection.